The brain is perhaps the most complex part of the human body, an organ that scientists and medical professionals continue to learn more and more about every year. Over the last 100 years the study of the brain and injuries to the brain has evolved from using bare hands and magnets to the cutting edge medical technology that is used today. Here at TryMunity we are committed to creating a community to increase support and awareness for traumatic brain injuries. The Centers for Disease Control estimates that over a 1.5 million people in the U.S. experience a traumatic brain injury (TBI) each year, with TBIs playing a role in an estimated 30% of annual injury-related deaths. It has become more apparent in recent years that brain injuries often go undiagnosed and untreated, making public awareness of this cause a vital pursuit. The wars in Iraq and Afghanistan have led to a surge in TBIs over the last decade, bringing the issue to forefront and fueling research into the causes and treatments of TBIs. While soldiers continue to suffer from these injuries, children between the ages of 0 and 15 account for more than half of brain injury related emergency room visits. Motor vehicle accidents and falls account for the majority of total TBIs, with falls being the most common among children and those above the age of 65. These TBIs range from mild concussions to fatal or serious life altering events. 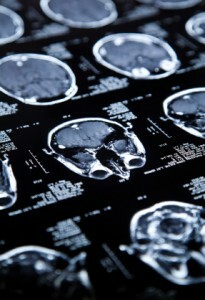 Chances are that most people know someone who has experienced or lives with a traumatic brain injury. Enhancing public awareness about the reality of brain injuries will go a long way to ensuring that those who experience injuries receive the immediate medical care they require. TBIs are often treatable, allowing those who suffer from them to go on to lead healthy and normal lives. For more information on TBIs and TBI survivors, please join our non-profit brain injury support network.